t*rexes and tiaras: friday favourites 066..
001: I'm a big fan of Designosaur; they do rather amazing acrylic / laser cut dinosaur jewellery (and plenty of other creatures, too). But their latest necklace actually goes with EVERYTHING. Meet George the chameleon, who is the product of a collaboration between Designosaur and HelloDODO...and I can't wait for him to arrive! 002: I'm gradually getting used to wearing earrings once more; after a few years where I've barely worn any, I seemed to have to ease my ears back into it gently. But now that I can wear a pair of earrings all day without pain, again, I plan to add to my collection there as well. 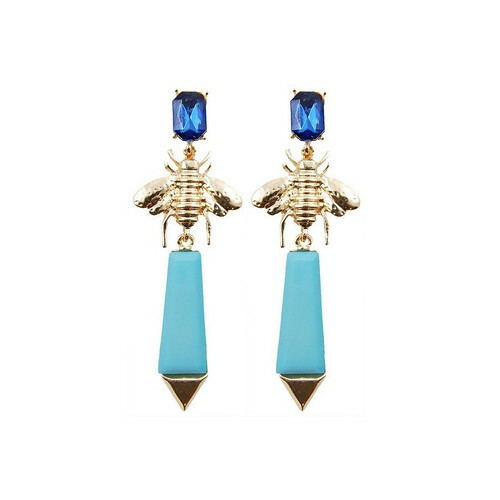 Starting with these rather awesome bug / jewel ones from Hey Sailor, which is one of those sites I should not be let loose on, as I end up wanting everything! Is there anything you just cannot resist this week? 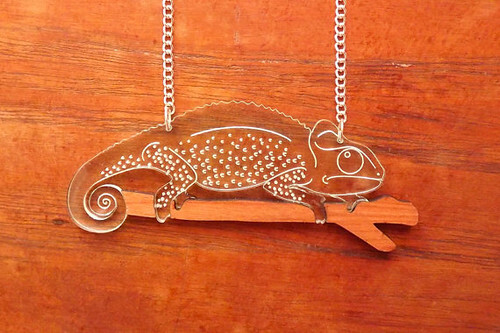 I love the Chameleion necklace, what a brilliant idea!